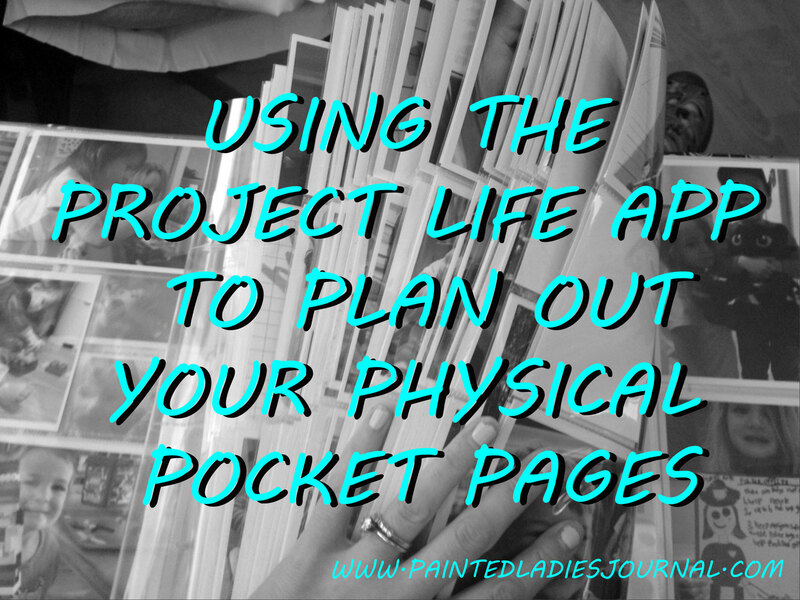 Are you a physical Project Lifer? I know, I like holding and creating physical layouts. It gives me joy. 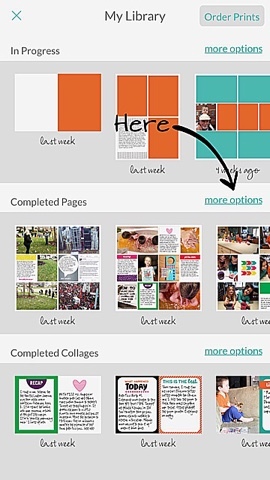 Think you have no need for the Project Life app? Think again. 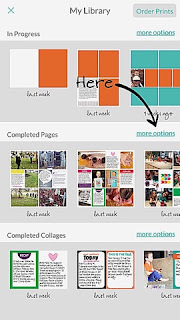 I'm going to share with you how I use it to aide in my physical pocket page layouts. It's not just about pre-planning my pages. It's also a way for me to get some journaling done while it is still fresh in my mind. I love capturing the details that I know I won't remember later. I'm not going to go into how to create layouts, there are lots of good ones out there. Becky Higgins has done it here. 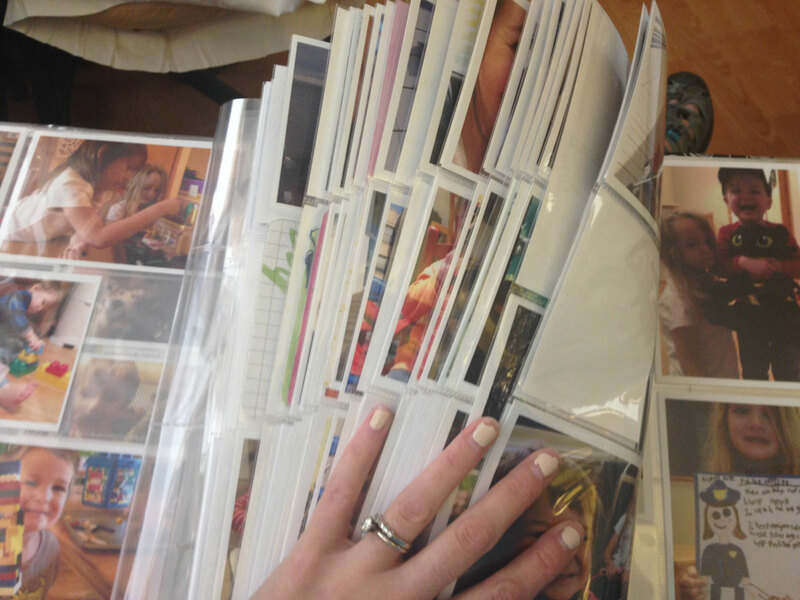 I'm going to show you how I organize and set myself up to print the photos. I will note that I don't worry too much about which journaling cards I am using in my app layouts because I usually use something different later, BUT sometimes it's so perfect I just print the journal cards, too. 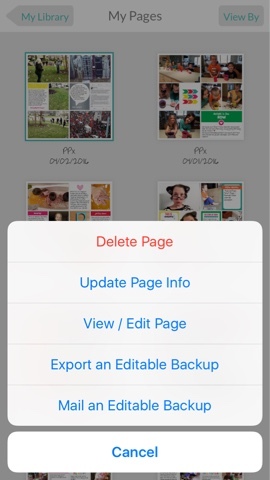 So after you have created your page, you can save it by the date the photos were taken. Click on the "More Options" under "Completed Pages". From here, you will click on the page you want to update and select "Update Page Info"
Correct the date to match the layout photo date. There is a spot for a "name", too. I usually put in here a code "PPx", meaning that I have uploaded the photos to Persnickety Prints for this layout. You want to either export these and save them by date in a Dropbox folder (I do this so I can flip through them easily in order and see what type of pocket page I need next, if it's not the typical Design A.) or leave them all in the PL app. Then, you can go back and refer to the layout configuration and the journaling when you sit down to scrap. 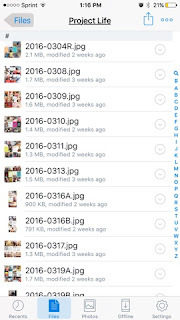 I have a folder in Dropbox called "Project Life" where I save them by year-month day format so they save in chronological order. 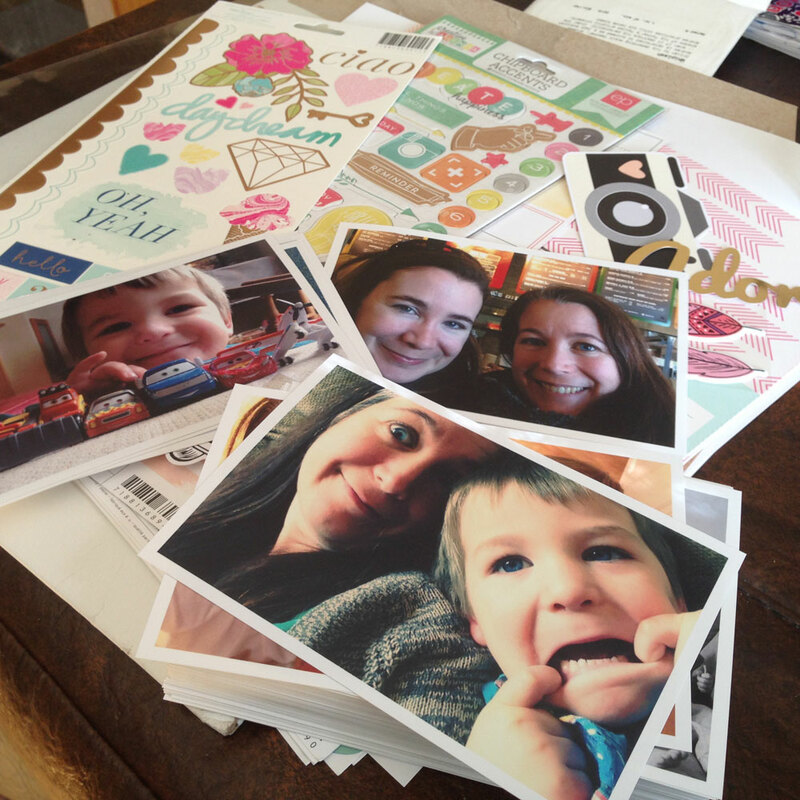 Next up, order those photos, if you are batch ordering from a service like Persnickety Prints. And when they arrive, do the happy dance and start filling in your pocket pages!! I just love white borders! Now, I like to skip around and do which ever page goes with what products I'm excited to work with. Eventually, it'll all be done and in chronological order. Look at all those pages layed out and ready to be scrapped. The best part! What is your process for getting photos in your albums? 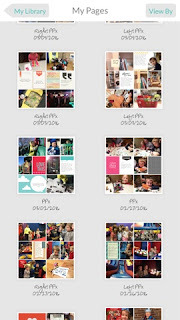 I know this may seems unusual but my process has totally evolved for the better (for me) over the last year. It's working and I love it. I'd love to hear your ideas for getting your photos printed! 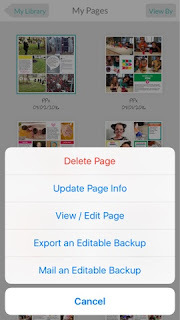 And if you want more ideas for using the Project Life App as a physical scrapper, Becky Higgins wrote a great article showing lots of other great uses the apps specifically for this. Find it here. This is my favorite editing app - the brighten action is worth the whole app. 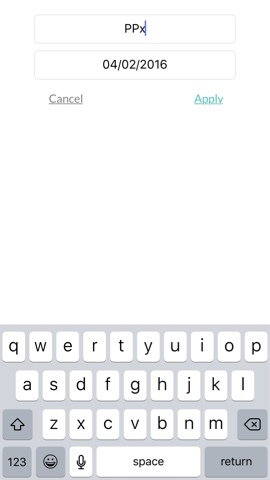 PicTapGo - Totally Rad! Inc.